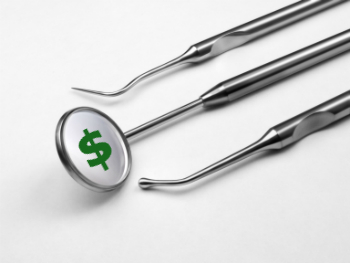 OIG has just released the last in a series of four Medicaid dental fraud reports. The reports identified dentists and orthodontists with questionable billing practices in New York, Louisiana, Indiana, and California. These reports are just one part of OIG’s multi-faceted approach to combat dental fraud. The agency also has ongoing audits of Medicaid dental claims in several states and Medicaid fraud investigators have indicted multiple dental providers and chains. Every state Medicaid program is required to provide dental coverage for children under 18, so no state can ignore these disturbing findings. The OIG dental fraud reports have consistently found that a majority of dental providers identified in each state belong to a few large chains. This indicates that the fraudulent billing patterns may be systematic and spread not only throughout the state, but throughout other states in which the chains operate. The issues identified in New York, Louisiana, Indiana, and California are costing states millions in services that may have never been rendered. On top of that, the services that were rendered are likely to have been medically unnecessary and of poor quality, therefore posing a danger to children. Dental insurance fraud examples include pulling multiple teeth where only one is required, multiple unnecessary caps or crowns for very young children, and more. In all four reports, OIG has recommended enhanced monitoring of dental providers, especially those in chains. Such consistent findings across states in a program with as much variability as Medicaid should make it clear that combating dental fraud, waste and abuse must be a priority. IntegrityM offers a wide range of dental fraud analytics. We can help identify patterns that suggest dental fraud and pinpoint outliers for dental billing. We can also perform focused analytics to support active cases against potentially fraudulent dental providers. Our services can help your organization stay ahead of OIG and stop dental fraud. Copyright © 2019 Integrity Management Services, Inc. All Rights Reserved. GLȲD(Σ)TM and the GLȲD(Σ)TM Logo are registered trademarks of Integrity Management Services, Inc. in the United States and other countries.